Saharanpur Nagar is constituency No. 3 of Uttar Pradesh legislative assembly. It belongs to Saharanpur district and is one of the five assembly constituencies coming under Saharanpur Lok Sabha constituency. It is an open constituency. According to data with the Election Commission of India, this assembly constituency has 3,49,364 registered voters. It comprises 1,90,567 male and 1,58770 female registered voters. In the last assembly elections held in 2012, the BJP won this constituency by a margin of 12,626 votes. Raghav Lakhanpal, the winning BJP candidate, got 85,170 votes. Congress candidate Saleem Ahmed, who was the nearest contender, got 72,544 votes. The voter turnout was 62.90 %. Saharanpur Nagar is constituency No. 3 of Uttar Pradesh legislative assembly. It is situated in Saharanpur district and comes under the Saharanpur Lok Sabha constituency. It is an unreserved constituency. According to the Election Commission of India, Saharanpur Nagar has 3,49,364 registered voters. It comprises 1,90,567 male and 1,58,770 female registered voters. In the 2012 Assembly elections, the BJP won this constituency by 12,626 votes. Raghav Lakhanpal, the winning BJP candidate, got 85,170 votes. 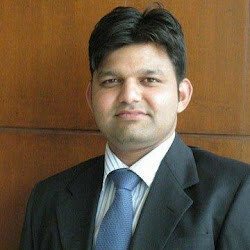 The runner-up was Saleem Ahmed of Congress who got 72,544 votes. The voter turnout was 62.90%. Saharanpur Nagar Assembly in Uttar Pradesh constituency will witness bye-elections for this Assembly Seat on 13 September 2014. The by-polls in the Saharanpur Nagar assembly constituency are being held due to the election of the sitting MLA Raghav Lakhanpal from BJP as a Member of Lok Sabha from the Saharanpur constituency. These 2014 by-polls will have Rajeev Gumbar of BJP and Mukesh Chaoudhary of Congress and Sanjay Garg of Samajwadi Party as the major contenders. However, another major party of the state BSP will not contest in these. The previous Assembly Election which were held in the year 2012 had seen BJP’s Raghav Lakhanpaul as the winner of the MLA seat after defeating Indian National Congress’ Saleem Ahmed with 12,626 votes. Uttar Pradesh has seen a many communal clashes in the past months because of which there has been a lot of displacement of the Muslims. Muslims constitute 20%-25% of the total population in the Saharanpur Nagar area and their contribution in the elections of this constituency has always played a very important role. Below is the list of winners and runners-up in the Saharanpur Nagar assembly elections conducted so far.